“The Archaeology Hour” is a project in development that will provide a podcast and eventual video program of information and background on major archaeological projects and news around the world. It will be hosted by Mark M. Newell PhD, a British underwater and terrestrial archaeologist currently working in the United States. 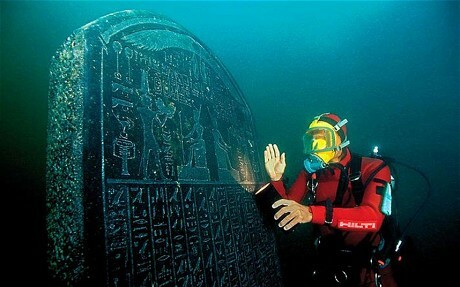 Newell has a distinguished record of archaeological accomplishment over the past forty years including leading the successful search for the C.S.S. Hunley in Charleston SC, discovery of the remains of the historic Santee Canal, recognized by the US Secretary of the Navy for preservation work on the U.S.S. Constitution, discovery of the Baynham pottery hoard near Edgefield, S.C. and discovery of the only known Edgefield African face jug site near Trenton S.C. Newell has lectured at major venues throughout the US and the UK and has appeared on numerous television programs and documentaries. I can’t think of a more exciting time in Archaeology to be involved in launching a podcast and eventual video program on new discoveries. Looking almost anywhere in the world, I find fascinating new projects and discoveries every day. Most of these are covered to some extent or another by the news media — from the mainstream press to specialist websites like Ancient Origins–but there are always more questions to ask, greater insights to develop, new views to express and that elusive ‘insider” story that rarely gets told. I will be working with CSquared Communications and The Archaeology Hour to do just this. I will bring together my background in archaeology and journalism to develop unique insights on breaking stories and present an insider’s view that the general media cannot. There is clearly a huge interest in archaeology snd history as indicated by magazines, television programs, internet sites, documentaries and even movies (ok, that’s entertainment not education). Posts will be on a frequent if not daily basis until the first pilot podcast is launched this Spring. 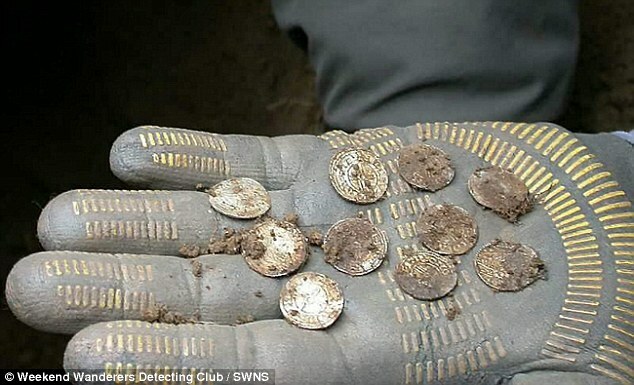 Projects we are looking at hint at the range of a topics we will cover this year: the amazing Saxon silver coin hoard found in Buckinghamshire, England, a lost city discovered off the Egyptian coast by a French archaeologist, Two entirely new tombs found in Egypt, not to mention a new find at the pyramid of Giza. The Norway scientists have found a dried lake bed with a mysterious deposit of skulls once impaled on stakes. The Greek ‘find of the century’ a massive tomb at Amphipolis may turn out to be even more spectacular, a city of the dead rather than a single burial. Herod’s Palace, the place where the trial of Jesus is supposed to have occurred, has been found during a new dig. A veritable catalog of ancient ships built over a 5000 year period has been discovered in Turkey. The Archaeology Hour will cover these topics and more in the coming months. You will also find links to the project websites and other features of interest to the general public, working archaeologists, volunteer and archaeology/history tourists.